CKD Galbraith presents a unique opportunity to purchase an outstanding category "C" listed traditional highland cottage, located in the stunning Cairngorms National Park. Formerly the village shop known locally as the Splash' from which the Laggan community newsletter has taken its name, Rowan Cottage was also the retreat for polar explorer Sir Herbert and his family for many years. Sir Herbert was the foremost polar explorer of his generation, leading the first surface crossing the Arctic Ocean in 1968. 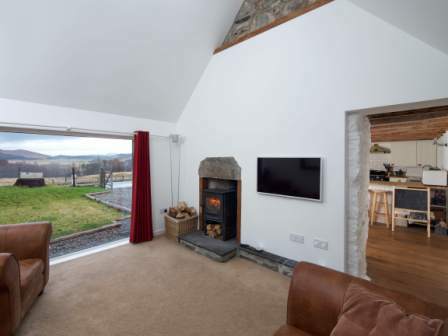 Rowan Cottage is located in the scattered hamlet of Catlodge, Newtonmore close to the picturesque village of Laggan in the Cairngorms National Park, providing a fantastic backdrop from which to enjoy the area. Believed to date from the 18th century, Rowan Cottage, originally two semi-detached dwellings named Birch' and Rowan', has been completely renovated by the current owners, creating a delightful family property by blending traditional building methods with modern techniques to ensure that the property retains its historic feature and charm whilst taking full advantage of modern day living. The exquisite entrance to Rowan Cottage provides an early indication of the grand standard of the property, with the hallway leading to two spectacular principle rooms: the dining room, with open fireplace, and the magnificent double aspect sitting room, with wood burning stove on a stone hearth and an exposed original stone wall. The delightful kitchen leads to the family room with floor to ceiling windows presenting an impressive far reached view over Spey Glen to the Cairngorms in the distance. 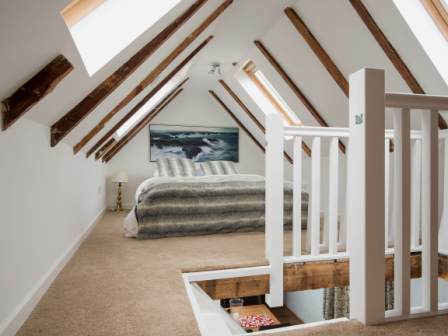 A wooden staircase leads up to the three upper floor bedrooms which have all been designed with family living in mind. 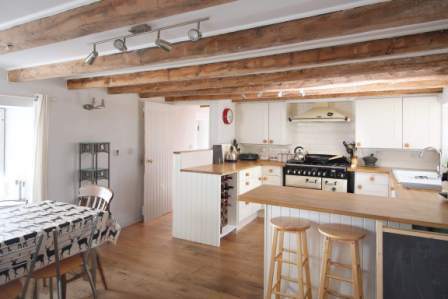 Many original features have been retained through the property including oak flooring and exposed beams in the ceiling. Most of the rooms on the ground floor have wood burning stoves set in the original fireplaces as well as under floor heating to provide a manageable and economical source of heating. Phiddy Robertson, handling the sale for CKD Galbraith, said: "The quality and history of Rowan Cottage makes it a fantastic opportunity to acquire a truly unique rural retreat offering and delightful living in a spectacular highland setting. The rich history of Rowan has achieved much attention and the property is soon to be featured on BBC1's Escape to the Country, so we expect a lot of interest from discerning purchasers and even perhaps form those seeking a second home or holiday investment." The grounds extend to approximately 0.412 acres and are laid mainly to lawn with mature trees and shrubs, which allows the property to sit comfortably in its spectacular surrounding. A decked sitting area lies on the south side of the house and is accessed from the kitchen overlooking the soft fruit garden with blackcurrant bushes and plum trees. The area of the Cairngorms National Park provides a scenic and unspoilt landscape with varied countryside, from moorlands and mountains, to lush glens and beautiful lochs. There is a wide range of rural pursuits available for all ages with beautiful walks directly from the house. Both Ben Nevis and Cairngorm mountain ranges are within a 45 minute drive from the house, offering fantastic access to mountain walking and skiing. Whilst for fishing enthusiasts the Glentruim Falls is only a 10 minute drive away. 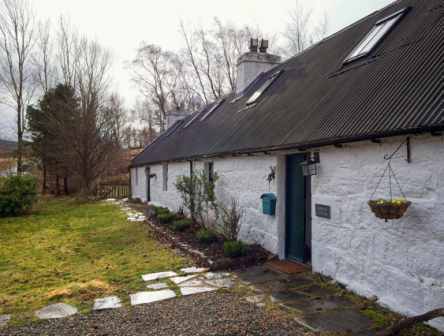 Rowan Cottage is offered for sale at offers over 295,000.